For patients with renal failure approaching the need for dialysis, it is critical to seek the best dialysis access management to maximize their quality of life. 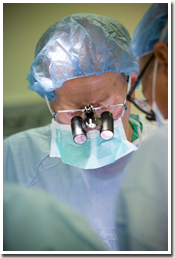 Established in 1967, the Division of Transplant Surgery at Montefiore Medical Center includes faculty involved in providing state of the art vascular access surgery. Due to their extensive training and experience in both vascular access and transplantation, our highly skilled kidney transplant doctors are among the most sought-after in the New York metropolitan area. They provide comprehensive services for vascular access evaluations, interventional procedures, hemodialysis and kidney transplantation access, and they develop an excellent rapport with each patient. Terminal kidney failure occurs as result of progressive damage to the kidneys over a period of time, which typically spans a decade or more. Various underlying diseases and conditions such as diabetes, high blood pressure, interstitial nephritis, chronic glomerulonephritis and congenital disorders (i.e. polycystic kidney disease) can cause the deterioration of kidney function. This may occur in patients of all ages, ranging from pediatrics to geriatrics. Dialysis and kidney transplantation are two lifesaving methods for treating kidney failure. Our physicians and surgeons work closely with our kidney transplant coordinator, social workers, nutritionists to optimize each patient's care. They also evaluate patients to determine if they are candidates for transplantation and assist them with placement on the United Network for Organ Sharing (UNOS) transplant waiting list. Patients enter our vascular access program through referrals from their nephrologists, the Emergency Department, other dialysis centers, and the kidney transplant program. Montefiore Medical Center is one of the most-referred destinations for establishing a vascular access and hemodialysis, as these are highly technical processes requiring vast expertise and state-of-the-art equipment. Additionally, some patients may see us as many as three times a week, so our team does everything possible to make them feel comfortable at their home away from home.